Euromax Resources Ltd., March 22, 2019 (TSX: EOX): Euromax Resources Ltd. (Euromax or the Company) announces that the terms of the private placement financing to one of its current major shareholders, Galena Resource Equities Limited (Galena), an entity controlled and managed by Galena Asset Management S.A., which is an affiliate of Trafigura Pte Ltd. (Trafigura), for gross proceeds of CAD$9,188,040 (USD$6,900,000) previously disclosed on February 12, 2019 (the Private Placement) have been revised as a result of further negotiations. Each Warrant entitles the holder thereof to acquire one Common Share of the Company at an exercise price of CAD$0.15 for a period of two years following the closing of the Updated Private Placement. The proceeds of the Updated Private Placement will be used for the development of the Company’s Ilovica-Shtuka Copper-Gold Project (Ilovica-Shtuka or the Project) and for general corporate purposes. In connection with the closing of the Updated Private Placement, the Company and Galena will amend their existing ancillary rights agreement dated April 10, 2018 (the Ancillary Rights Agreement) to provide Galena with the right to nominate two additional directors of the Company’s board of directors (the Board) (for four directors in total) until such time as Galena (collectively with its affiliates) no longer holds greater than 20% of the Company’s issued and outstanding Common Shares (calculated on a fully diluted basis). If Galena (collectively with its affiliates) holds between 10% and 20% of the Company’s issued and outstanding Common Shares (calculated on a fully diluted basis), Galena can only nominate two directors to the Board. The Ancillary Rights Agreement provides that the Board shall consist of eight directors should Galena hold greater than 10% and less than 55% of the Company’s issued and outstanding Common Shares (calculated on a fully diluted basis). In the event that Galena (collectively with its affiliates) holds greater than 55% of the Company’s issued and outstanding Common Shares (calculated on a fully diluted basis), Galena will have the right to nominate an additional director to the Board (for five directors in total), increasing the total number of Board members to nine. The Company will also amend the offtake agreement executed on April 6, 2018 with Trafigura on closing of the Updated Private Placement such that Trafigura will have 100% ownership of the sale of copper concentrate produced at Ilovica-Shtuka. In light of the Company’s financial condition, Galena has agreed to issue an unsecured promissory note in the amount of up to USD$1,000,000 (the Promissory Note) to the Company in order to provide it with the interim working capital required to fund its operations until such time as the conditions of closing the Updated Private Placement have been satisfied. Upon completion of the Updated Private Placement, funds owing pursuant to the Promissory Note will be set-off against the proceeds of the Updated Private Placement. The initial portion of the funds issuable pursuant to the Promissory Note are expected to be received by the Company on Monday, March 25, 2019. Pursuant to Section 604(e) of the TSX Company Manual, the Company has applied for and conditionally received an exemption from the shareholder approval requirements of the TSX, as described above, on the basis of financial hardship, given that the Company is in serious financial difficulty with limited alternatives and the immediacy of the Company’s need to address its financial obligations through the Transaction does not afford it sufficient time to hold a special shareholders’ meeting. As a consequence of its financial hardship application, the TSX has placed Euromax under remedial delisting review, which is normal practice when a listed issuer seeks to rely on the Section 604(e) financial hardship exemption. No assurance can be provided as to the outcome of such review and therefore, continued qualification for listing on the TSX. As each of Galena, EBRD and Mr. Konig are insiders of the Company, the Updated Private Placement and the Promissory Note (as they relate to Galena), the Updated Concurrent Offering (as it relates to Mr. Konig) and the Updated Debenture Amendments (as they relate to EBRD) constitute related party transactions under Multilateral Instrument 61-101 – Protection of Minority Security Holders in Special Investments (MI 61-101). The Company is relying on the exemption from the formal valuation requirement in Section 5.5(g) of MI 61-101 and the exemption from the minority approval requirement in Section 5.7(1)(e) of MI 61-101 based on the Board, acting in good faith, having determined, and at least two-thirds of the Company’s independent directors, acting in good faith, having determined, that the Company is in serious financial difficulty with limited alternatives, that the Updated Private Placement, Updated Concurrent Offering and Updated Debenture Amendments are designed to improve the Company’s financial position, that the terms of the Updated Private Placement, Updated Concurrent Offering and Updated Debenture Amendments are reasonable in the Company’s circumstances, that the immediacy of the Company’s need for financing through the Updated Private Placement, Updated Concurrent Offering and Updated Debenture Amendments does not afford it sufficient time to hold a shareholders’ meeting, and that the Updated Private Placement, Updated Concurrent Offering and Updated Debenture Amendments are fair to, and in the best interests of, the shareholders of the Company. The Company anticipates it will file a material change report less than 21 days before the closing of the Transaction. This shorter period is reasonable and necessary in the circumstances as the Company wants to complete the Updated Private Placement, Updated Concurrent Offering and Updated Debenture Amendments as expeditiously as possible given the immediacy of the Company’s need for financing. Euromax currently has 166,742,080 issued and outstanding Common Shares. A maximum of 482,305,070 Common Shares are issuable pursuant to the Transaction (assuming full exercise of the Warrants) representing 289.25% of the Company’s currently issued and outstanding Common Shares. Pursuant to the Updated Private Placement, a maximum of 294,017,280 Common Shares (representing 176.33% of the Company’s outstanding Common Shares on a pre-Transaction, non-diluted basis) would be issuable to Galena, an insider of the Company, assuming that Galena fully exercises its Warrants. Pursuant to the Updated Concurrent Offering, a maximum of 13,976,474 Common Shares (representing 8.38% of the Company’s outstanding Common Shares on a pre-Transaction, non-diluted basis) would be issuable to Mr. Konig, an insider of the Company, assuming that Mr. Konig fully exercises his Warrants. Pursuant to the Updated Debenture Amendments (including conversion of the principal, interest and fees where applicable on the maturity date of February 28, 2021), a maximum of (i) 85,917,563 Common Shares (representing 51.5% of the Company’s outstanding Common Shares on a pre-Transaction, non-diluted basis) would, if the Updated Debenture Amendments become effective, be issuable to EBRD, an insider of the Company, assuming that EBRD converts its Debentures into Common Shares and excluding the exercise of its existing warrants; (ii) 67,805,949 Common Shares (representing 40.7% of the Company’s outstanding Common Shares on a pre-Transaction, non-diluted basis) would be issuable to CCC assuming that CCC converts its Debentures into Common Shares. 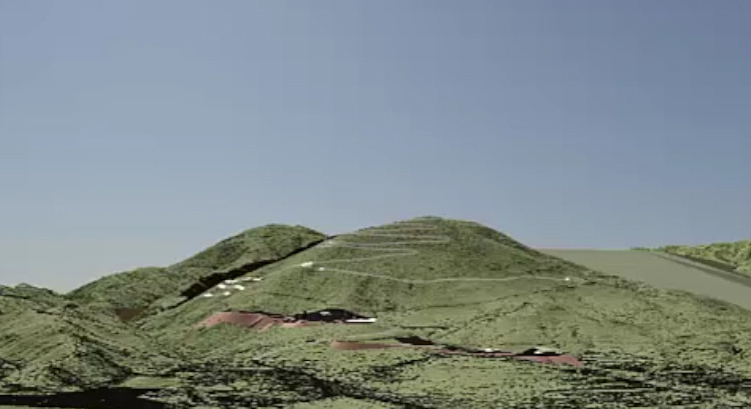 Euromax is a minerals development company whose corporate strategy is centered on the development of the Ilovica-Shtuka Project, the company’s core copper and gold development project located in North Macedonia. 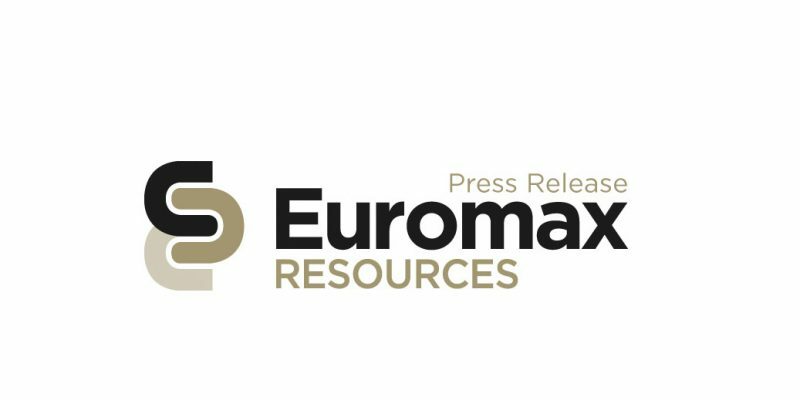 Euromax, through its local subsidiaries, has been involved in the exploration and development of a number projects in south-eastern Europe since January 2011. Galena Asset Management S.A. (Galena Asset Management) is the wholly-owned investment arm of the Trafigura Group, a world leading commodity trading firm, and is authorized and regulated by the Swiss Financial Market Supervisory Authority (FINMA). For more than a decade Galena Asset Management has operated at the intersection of financial and physical commodity markets, enabling leading institutional investors to access investment opportunities alongside the Trafigura Group through funds or managed accounts. Galena Asset Management’s portfolio management specialists have built considerable experience in metals, minerals, oil, shipping and infrastructure. Galena Asset Management acts independently, but derives significant benefits from its relationship with Trafigura, its principal anchor investor.